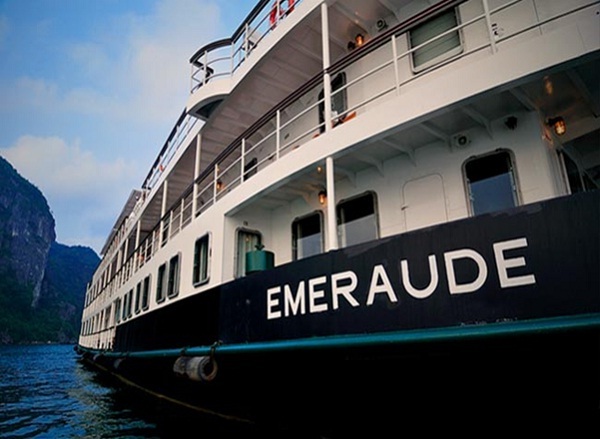 Being restored from the famous Emeraude ship of Roque Family which was launched the first time at Halong Bay in 1937, Emeraude Cruise has a luxurious mixture of authentic French and modern style. Containing of 37 private cabins for passengers, including 12 superior, 22 deluxe rooms and 3 suite cabins, Emeraude ship is believed to be one of the most deluxe cruises. All the convenient cabins are fully equipped with luxurious facilities and cozy decoration made from mainly wood and silk material. Many beautiful decorative objects and furniture having similar style, which creates glace, magnificence but warm atmosphere anywhere on the ship are used to decorate the other part of this cruise. Other feature to be appreciated is that food service is available on this cruise. 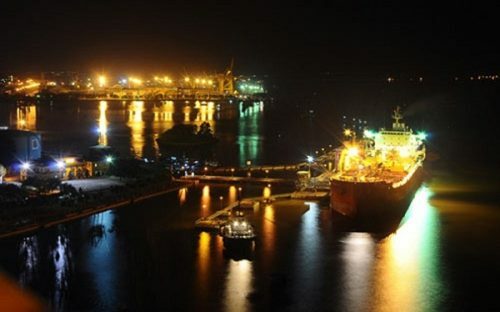 The tastiest and freshest food offered onboard, particularly seafood and Vietnamese dishes, which are prepared by highly talented local chefs will make all kinds of guests satisfied. Besides the local food, many special menus of Western cuisine are served as well. Tourists can go to the boat’s dining room to savor full board meals with Vietnamese and international buffet spreading there. If you want to drink beers, cocktails, wine as well as other beverages, come to the bar onboard. 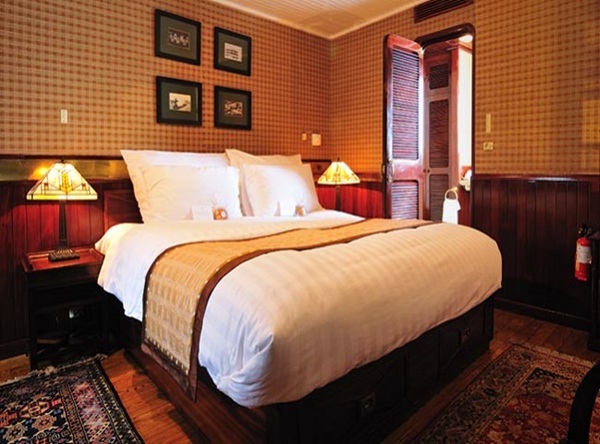 The Captain’s Suite covering about 25 square meters is the spacious and comfortable port-side suite coming with colonial-era bamboo carpets. 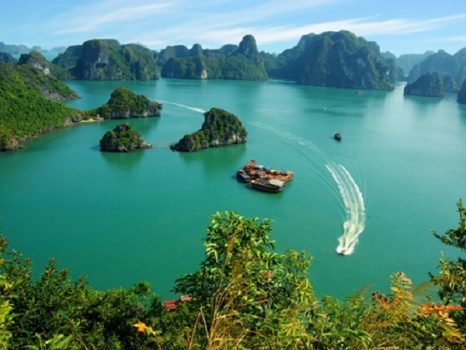 Many ancient maps on the walls will help you imagine the path that the vessel will go through the stunning karsts and many magnificent islands of Halong Bay. Covering a total area of 25 square meters, the luxurious Emeraude Suite is spacious enough to contain of a queen-sized bed, as well as a big sofa and entertainment zone, which makes families comfortable. The cream and green color raises up the warmth and sentimental longing to the wooden fixtures and flooring. On the starboard side situated a sundeck location coming with ample windows to give you a chance to get stunning views across the bay. Running throughout the Emeraude are space, privacy and relaxation themes. There are a large number of quiet seating areas on the main and upper decks where you can stretch out on a sundeck lounger. The main purpose is to bring real comfort to all travelers during their trips on the Emeraude. 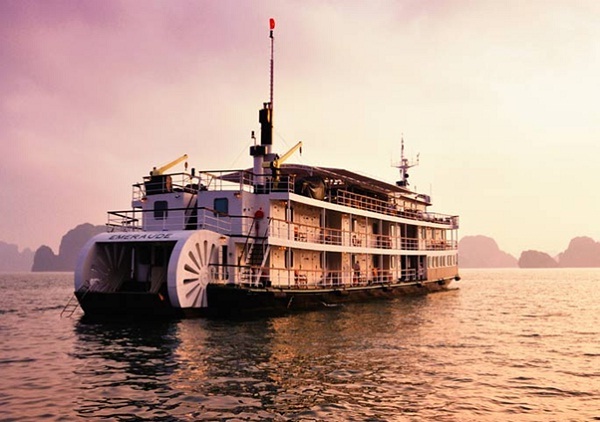 Our Indochina Voyages with many years experience in providing a large number of both local and foreign tourists with impressive cruise on Halong Bay promises to make you unforgettable memory discovering the charming beauty of Halong Bay on Emeraude Cruise at comparative price.